When I worked in higher ed, it was often noted that most of the college/schools within the university strove to simplify their generally complex subjects. Education, however, always sought to make what seems to be a pretty simply topic more complex. I thought about this as I was reading a white paper on major gifts. What should, honestly, be a page or two is a 68 page of repetition, citing as many authors (particularly those of the paper) as possible, and saying very little. Fundraising, it is often noted, is not brain surgery. And truly it is not. Which doesn’t mean it is easy, only that it is rather simple and doesn’t need to be complicated. What it does require is systems to ensure consistency, messaging that both tells your story and engages your donors, and partners who are willing to open doors. Engaging your donors, of course, means knowing who they are. Something you can’t discover if all your fundraising is push. Direct mail, newsletters, brochures, all play a role, but you will be far more successful if you have ways of knowing who your prospects and donors are. That may be looking at cohorts and engaging with as many of them as possible—both on and off-line. It should also mean breaking down these cohorts into cohesive groups. For example, if you are looking at alumni or former clients, don’t assume that all are the same. Break it down by generations, geography, what happened after they left your school or your program. I stopped engaging with my graduate school alumni group when it became clear that they had no interest in older alumni who were small business owners. All the programs they had were geared toward much younger alumni who were working at large, multinational companies. For more major prospects and donors, it should be one-on-one interactions where you are asking about their individual interests, dreams, desires. 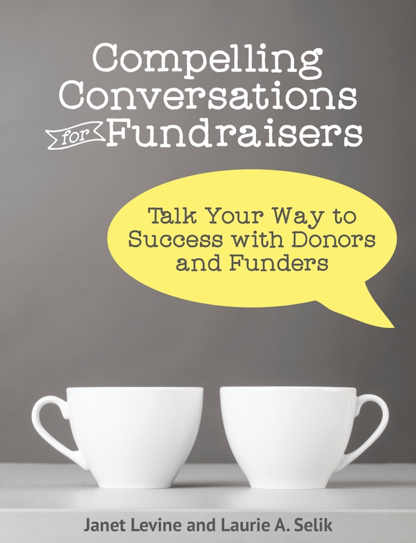 As you consider your new fundraising year, consider how you can best get close to your prospects and donors. Remember that successful fundraising is above all about the right person asking the right prospect for the right gift in the right amount at the right time in the right way. Getting all those rights right starts with knowing who that right prospect is so you can match all the other things effectively. Janet Levine works with nonprofits to increase their fundraising totals. Learn how your organization could benefit from working with Janet at www.janetlevineconsulting.com. While there, sign up for the free newsletter and connect with Janet to schedule your free 30 minute consultation. This entry was posted in fundraising and tagged engaging donors, keeping it simple, right way to fundraise. Bookmark the permalink.